I had Amelia as my driving instructor and I couldn’t fault her one bit! She is so easy to get along with and helps you in every single way possible! She’s amazing! I passed first time!! Highly recommended! Would like to thank Alex for helping me pass my test 1st time today brilliant instructor highly recommended!! Big thanks to Alex for being an amazing teacher. I have managed to pass my test within 4 months from the first lesson as a complete beginner. I would highly recommend him, very relaxed and comfortable atmosphere on ever lesson! Amazing! Thanks! Passed my driving test today with the help from Alex .Thanks for helping me learn to drive and give me the confidents. 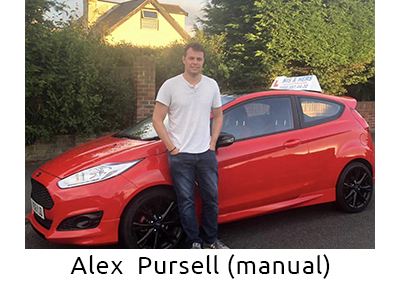 Thank you so much to my instructor, Alex Purssell from His & Hers Driving School for helping me get through my driving test in Burgess Hill successfully today! Alex was a great instructor- very patient, supportive and kind and overall a pleasure to learn from. I am so grateful for everything he did to get me from being the very nervous beginner I was, to become a competent driver! 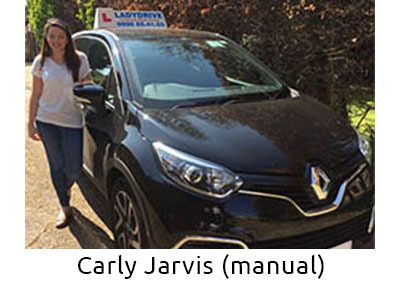 Thankyou so much Carly Edwards, amazing instructor, would recommend her to everyone.she is very nice, patient and makes you feel very comfortable and at ease.she is very friendly and absolutely amazing at her job, I'm so glad and lucky I had her as an instructor, she is an amazing person. A massive thank you to Carly for helping me pass my test! She has been so helpful and friendly throughout my entire driving experience. I'm definitely going to miss my lessons with her! 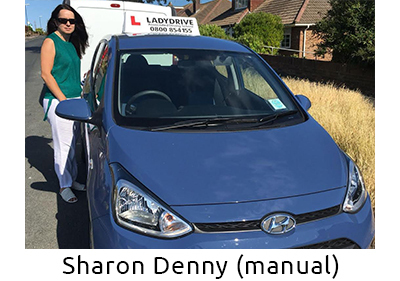 From the first time I meet Clare I knew I had made the right decision to train as an ADI with Ladydrive and His & Hers Driving School. Clare is such an amazing lady, she made me feel at ease right from the start which gave me the confidence that I could become an ADI. Clare made the whole process such fun which is an ideal environment to learn. I learnt so much more than the process of becoming an ADI, I learnt how to interact and get the best out of my pupils in a fun and productive way and I have a friend for life in Clare. Training with Clare was one of the best decisions I have ever made and I am very proud to part of such and amazing driving school. I contacted ladydrive and his and hers driving school to ask about training to be an instructor and after one call I had all the information I needed and started my training with Clare, Clare really helped me to get rid of all the bad habits I had to get me through my ADI part 2, when it came to my ADI part 3 Clare was extremely helpful and gave me the push I needed when it came to learning how to be the instructor I am now, I ended up passing both my ADI parts 2 and 3 first time with only 2 minors in my part 2 and grades 5/4 in my part 3, looking back on our lessons it's easy to say that Clare doesn't just want to train and move on to the next person she really cares and puts everything she can into it, I don't just think of her as my trainer or my boss but as a friend, even now I know if I have any questions she is just a phone call away. 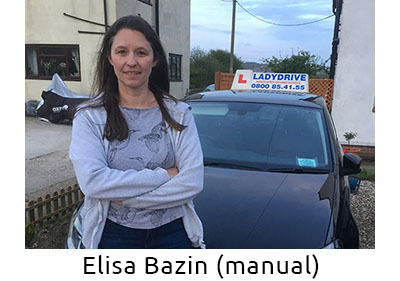 As an anxiety sufferer I was really unsure how I would be as a driver but after driving with Elisa Bazin she has made me feel calm and confident as a driver and would not have passed without her support. I could not recommend her more! 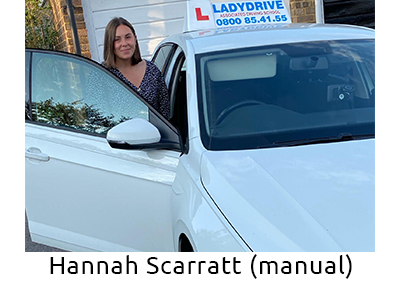 Elisa is a brilliant instructor, whose lessons enabled me to pass first try, more quickly and with more confidence than I ever could have anticipated. Huge thanks to Elisa for getting me through my driving test! 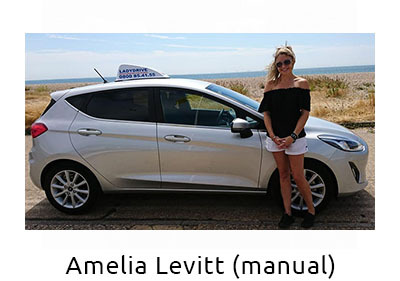 Had a fantastic time and could not recommend her enough, honest and understanding I could not have hoped for a better instructor! Cannot recommend my instructor Glen enough. I recently passed my test first time and I couldn’t have done it without his patience and constant encouragement. 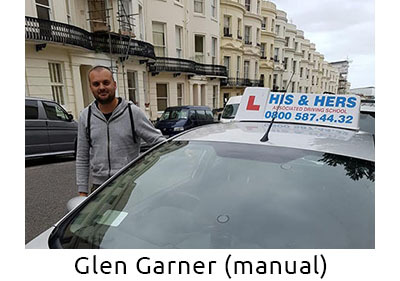 I was very nervous when I first started having lessons with Glen, but he instantly put me at ease with his friendly and calm nature and I was driving confidently in no time. He was very organised with our lesson topics and explained everything clearly. He went above and beyond to make sure I got a lesson every week at a time that worked for me and was always on time. I’m actually missing my lessons already! Thank you Glen! 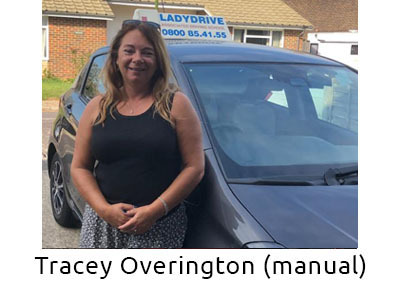 I needed last minute driving lessons and lady drive responded extremely quickly and professionally! I had Glenn who has not only been excellent but a delight. He ironed out my weak points quickly (I hated roundabouts and after one two hour block I had conquered them!) and made me feel incredibly relaxed. He was encouraging, funny and very responsive over texts in booking the test. Couldn’t recommend more and seeing he is booked up a lot is good sign because he knows what he’s doing! Thanks lady drive and to Glenn I’m chuffed! Thank you so much to Glen who helped me pass my driving test. Glen made me feel relaxed and calm every time behind the wheel. He is a very patient and professional instructor, who is very supportive and encouraging even when I failed my first attempts at passing the test.I found Glen to be very patient and a very supporting driving structor who was able to pick out my weaknesses and quickly turn them into strengths. 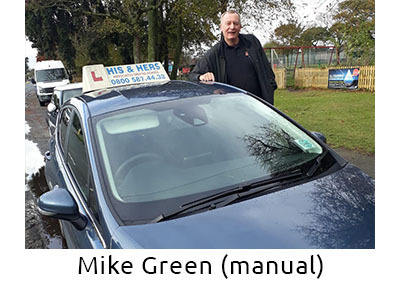 My driving lessons were very enjoyable as with Glens know-how, I found I made great progress. 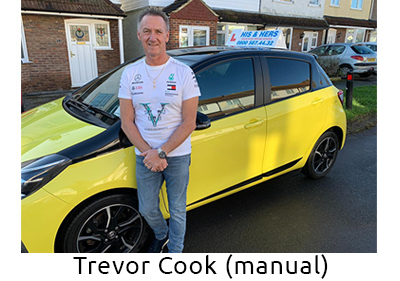 So if you're looking for good value driving lessons with an experienced, honest instructor but most importantly want to pass your driving test, then you should look no further then Glen as he comes highly reccomended! I had Glen as my instructor and he was great! Very positive and supportive the whole time. I passed first time so definitely cannot complain! I would 100% recommend lady drives for anyone wanting to learn. Thank you! A huge thanks to Hannah for teaching me to drive and helping me pass my driving test. I started off not knowing a thing and she has guided me and built me confidence up over the past half year, I've now passed and feel confident in my ability. She's incredibly patient and I highly recommend her to anyone looking for a driving instructor. I passed first time today thanks to my amazing instructor Hannah. Couldn't recommend her highly enough, very calm and patient- thank you so much. My instructor was Hannah, I was so nervous before I started and she was so lovely and very patient and made me feel so confident and comfortable, we were best friends by the end of my lessons but eventually I had to pass my test and as much as she didn’t want to she had to get rid of me. I could not have chosen a better driving school to learn with. Kev taught me at a pace that was right for me ans was supportive and accomodating from the wotd go. My biggest problem was my confidence but Kev had confidence in me and it made all the difference. He knew how hard to push me and what I need to learn from lesson to lesson. For anyone looking for an exceptional learning experience, I couldn't recommend Kev more. Thank you to Kevin for helping me pass my test first time with only two minors. I enjoyed every lesson with Kevin. He is a top bloke and I was comfortable every time I was behind the wheel. Extremely patient and supporting and would recommend to anyone! Cheers Kev! I was lucky enough to have Kev for my instructor. He was great, so flexible, patience and thorough with everything he taught me! I really couldn’t of done it without him. He gave me so much confidence and a great laugh. Thanks so much Kev, see you on the road! I would like to say a huge thank you to my instructor Kev for giving me the confidence and necessary skills to pass my practical driving test today. I had had a lot of lessons previously with other instructors and failed my driving test a few times. I was losing hope of ever passing the test when I decided to give it one more shot before my second child was due. Due in fact in four weeks time. 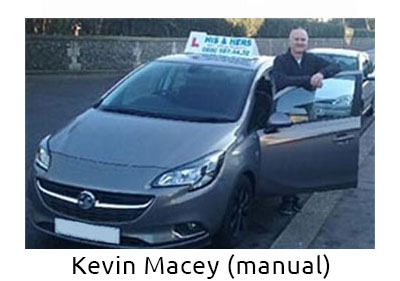 Kev is a sincere, relaxed and gentle driving instructor which meant I could relax in the car. He immediately saw my weaknesses and we worked and worked at them until I felt ready to take the test. He never got impatient or got frustrated with me even though I kept making the same mistakes. My experience learning to drive with Kev was detailed and thorough. If I messed up or was struggling with something, he’d make sure to correct me and set out a plan to improve on those things but wouldn’t make me feel like a failure, which I something I was really scared of when learning to drive! Most notably, he was very understanding of my anxiety, especially around my driving tests and I felt really comfortable with him. 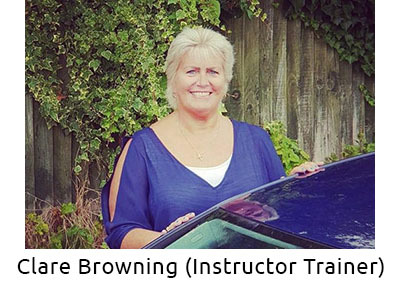 A brilliant instructor who never gives up on you, would recommend to anyone! Review from Felicity Leedham-Turner, I was so pleased to pass my driving test yesterday and it was all thanks to Mick of 'His & Hers'. Mick is a fantastic instructor, patient, supportive and professional. He helped me to grow my confidence with driving and I thoroughly enjoyed my lessons as Mick has a great personality. Thank you Mick! I passed my test today all thanks to Mick Green...great teacher, would recommend him to anyone, I will miss the driving chats! Thank you to Peter at Ladydrive. Passed 1st time, without any faults, what a fantastic instructor! 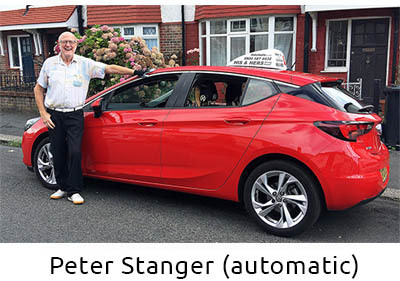 I highly recommend Peter, he is a fantastic instructor who really explains things clearly and made sure I knew exactly what to expect for the test. He showed me all the potentially troublesome areas on the test route so I knew exactly what to do on the day. Thanks Peter! Today I passed my driving test, thanks to Peter, I started when i was pregnant and from the beginning he was very understanding of my situation, I had, had lessons in the past with a different instructor and driving school but I feel i learnt so much more this time and feel more confident in my driving because of Peter. I would not have passed without Peter, he was an excellent teacher and you will not find a better instructor than him. Passed first time with no minors - nothing! clean sheet! And that is all thanks to richard jarvis and his teaching skills! Anyone wanting to learn automatic hes your guy and he is worth waiting for when he spaces to take on more pupils! im glad i did! i was adament to learn with lady drive and im glad i stuck to guns rather than just go with anyone! Thankyou for all the help and support and have thoroughly enjoyed my lessons. 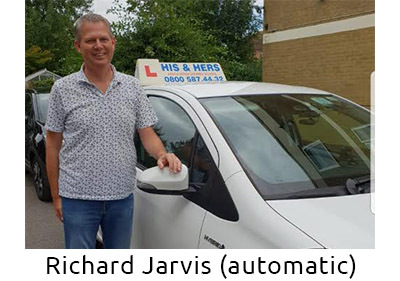 Just wanted to say what a amazing driving instructor Richard Jarvis is For his and hers driving School. I struggled with driving in the past. But Richard really put me at ease and focused during my lessons. I past my test first time with him yesterday ... I honestly don't think I would of been able to pass without him. I would recommend him too anyone !! Thank you so much Richard. A huge thank you to my instructor Richard for helping me pass my driving test first time. Thank you so much for your patience and support. Passed first time!! Sharon Denny is a wonderful teacher and I couldn't recommend her enough. I was SO nervous in my first lesson, but she put me at ease straight away and I became a more confident driver than I ever imagined. She was patient with me and made things fun, tailoring each lesson to me. We covered lots in our lessons and she really got to know how I learn and what I find harder! I also learned lots of great tips. Thank you so much. I'm over the moon at passing first time. Such a massive thank you to my instructor Sharon, who put up with my weird ways and helped me pass my test first time with one minor! I was very nervous about learning to drive but Sharon helped me so much. I really enjoyed our lessons and the laughs that were most definitely had, and I really can't thank Sharon enough for getting me through! I'm so happy to have passed! Sharron Denny is such a wonderful instructor and I couldn't have done it without her. I'm going to miss our lessons so much! Sharron is such a laugh, she is patient, kind and I'm really please to have met such a lovely women. Thank you for putting up with my frustrations and my moans. Thank you Ladydrive! I can't thank Sharon Denny enough! Absolutely amazing Driver instructor! Always patient and I have enjoyed every lesson I have had. I would highly recommend Sharon to any one who is wanting to learn to drive, I will miss her very much such a joy to be around! Thank you so much Sharon your amazing. I passed first time thanks to Sharon at Ladydrive. Really can't recommend enough - Sharon is a fantastic instructor, she ensures that you are fully prepared for any situation and the pacing/learning curve of lessons was absolutely spot-on. It's been really good fun and I will miss these lessons! Thank you again Sharon! Thank you so much Tracy Smart for your work with our son Josh in achieving his prized pass yesterday. This was in no small part due to your dogged determination with him, always coming up with new ideas when he hit a brick wall (not literally!). We will both miss your cheery and positive comments. 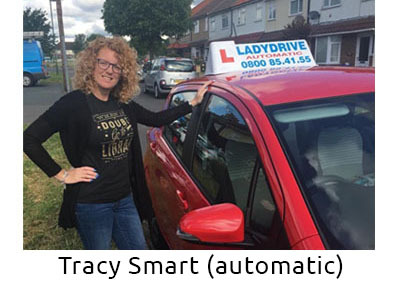 To everyone, don’t hesitate to book Tracy Smart if you want someone friendly but highly professional who can think outside the box when you get stuck in a rut and provide you with solid tutoring until you succeed. Thank you to Tracy Smart for being such a great driving instructor. You were so kind and helpful each lesson and all your pointers/tips made me understand so much. You really helped me with my confidence through driving after previously being with a different company. I loved learning to drive with you and I will miss my lessons! Tracy was amazing. So patient considering it took me weeks to get out of 2nd as I hated it SO much haha. now lookgo all the way to 6th gear  but honestly if it wasnt for tracy and being able to laugh at things, I would of given up. it was an upwards struggle at times (literally) but tracy never gave up. Even when I stalled it 3 times and kerbed it just before my test, she kept me calm. Amazing Amazing AMAZING instructor. whom I will very much miss going 'LISTEN TO THE CAR'. Can't thank Tracey Overington enough. I started with very little confidence, but with Tracey's encouragement, support and patience I passed first time with only 2 minors. I miss our weekly laughs. Thank you Tracy Overington for helping me pass my driving test. You where a patient and friendly instructor and got me up to driving test standard quickly and without too much stress. I would definitely recommend you as a teacher to anyone else learning to drive!